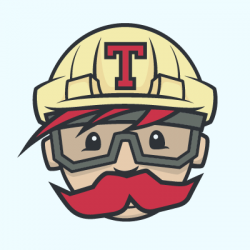 Travis CI is looking for a Technical Writer to join our team. As a technical writer, you will be responsible for creating and updating customer-facing documentation at http://docs.travis-ci.com and http://developer.travis-ci.com. This involves figuring out what customers need to know, and how best to explain it to them. You’ll need to be comfortable providing constructive and gentle feedback to pull requests from both internal developers and customers. You’ll integrate those contributions into an existing style and structure. An understanding of Markdown and Git would be beneficial, as would using a pull request type workflow to improve the documentation. As the only technical writer, but you'll be working closely with folks in Support, Product, Community, and Engineering to prioritize and develop docs. You’ll also be able to provide editorial feedback on blog posts and other content. 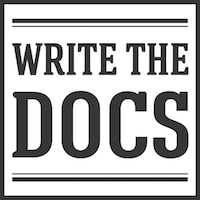 Ideally, you’ll be interested in improving the docs toolchain, which uses Jekyll and Middleman to turn Markdown into HTML, along with checking for broken links and syntax errors. Writing in English about how to solve complex problems. Experience in software engineering, infrastructure engineering, or systems administration; especially with automation, Unix tooling, and Docker. Troubleshooting and figuring out why systems do unexpected things. Ultimately, we are looking for individuals who can and want to make a contribution to our constantly growing and evolving company. Whether you have only a few or all of the elements of a candidate’s background we identified, we’d love to hear if you think Travis CI might be a good fit for you! Travis CI is a continuous integration platform: We help developers test, integrate, and ship their code, increasing the confidence, reliability, and speed of their development process. We strive to give back to the open source software (OSS) community. 95% of our code is open source, and we expect our builders to understand the tools, ethos, and benefits of a strong open source community. Travis CI is run as a hosted service, free for open source, and a paid product for private code. We also have an on-site offering for large enterprises who prefer to use their own infrastructure to run Travis CI (Travis CI Enterprise). We are a business headquartered in Berlin, Germany with a team distributed across the globe. Our goal is to help developers build better software. Travis CI is building a profitable, sustainable business for the long run. Our core company values are openness, diversity, collaboration, and empathy. Travis CI strives to be a diverse team, made of and built by people with different backgrounds and lifestyles. We do not discriminate based on race, gender, sexual orientation, marital status, accessibility needs, age, religion, color, or any other group. Flexible working hours: You choose your working hours. We understand life comes with responsibilities and complications, and we encourage all our employees to spend time tending to them. Time-off: You will have a minimum of 25 days off - and you must take all of them. We know things at work can be busy and exciting, but want to help make sure you are happy and healthy, and time away is important for that.